Jewish high school students roll up their sleeves, help Harvey cleanup. A group of Skokie, Illinois, high-school students are bringing faster help to Harvey victims, by flying in for hands on assistance. Close to two dozen high-school seniors, along with college chaperones and staff, from Skokie’s Fasman Yeshiva High School are volunteering several days this week to assist Houston’s Jewish community with hurricane relief efforts. "While many people are trying to get out of the Houston, Gulf Coast area -- we’ll be going in," said Yehoshua Kalish, a 12th grader that lives in Chicago. There are six students at Fasman Yeshiva High School from Houston that were prevented from making it to Skokie for the start of the academic year, which commenced the final week of August. 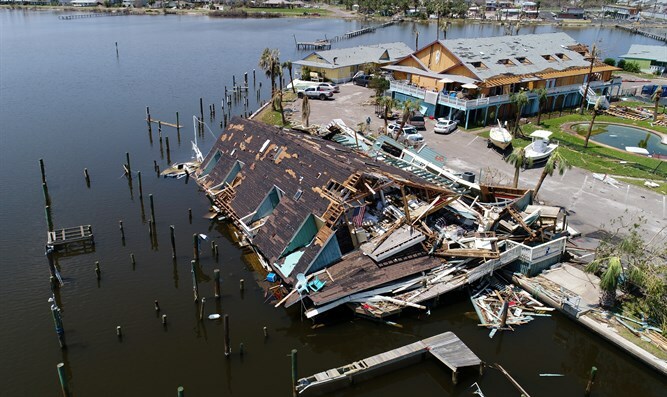 The storm has created havoc in south Texas as the heaviest tropical downpour ever recorded in the continental United States with torrential rain and damaging winds. The students will be helping remove flood damaged items in homes, sorting clothing, sanitizing and removing debris. "We're all here to do the job, and we're anxious to get to work" said Rabbi Joshua Zisook, HTC’s Director of Admissions who is coordinating the trip along with CEO Rabbi Shmuel Schuman. Both Rabbi Schuman and Rabbi Zisook will be joining the student delegation. The group from Skokie will be leaving O’Hare Airport on Wednesday morning and returning Friday morning. The volunteer efforts are being arranged with members of the Jewish community in Houston, Texas in partnership with the Orthodox Union who launched a fundraising campaign to help those impacted by the flooding. Hebrew Theological College has also made housing arrangements on their Skokie campus for Texas residents needing temporary accommodations. Houston's Jewish community has declared Harvey a "greater disaster" than Hurricane Katrina. Last week, United Hatzalah's Psychotrauma Unit.flew seven therapists to aid Harvey's victims.